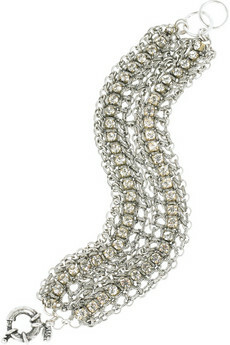 Lee Angel, Fatima silver-plated crystal bracelet, $170. Milan: Walk in the park! Following us on Twitter just got easier! A tought for today and every day! Oh snap! FWAC is on Twitter! Back by popular demand! Fashion Gives Back.